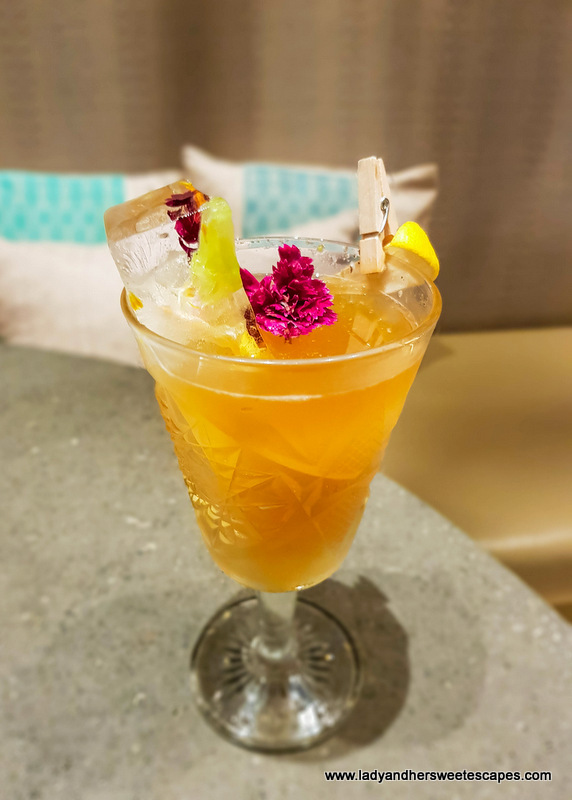 Last month, Ed and I had the pleasure of attending the pre-opening tasting of Stars'N'Bars La Mer. 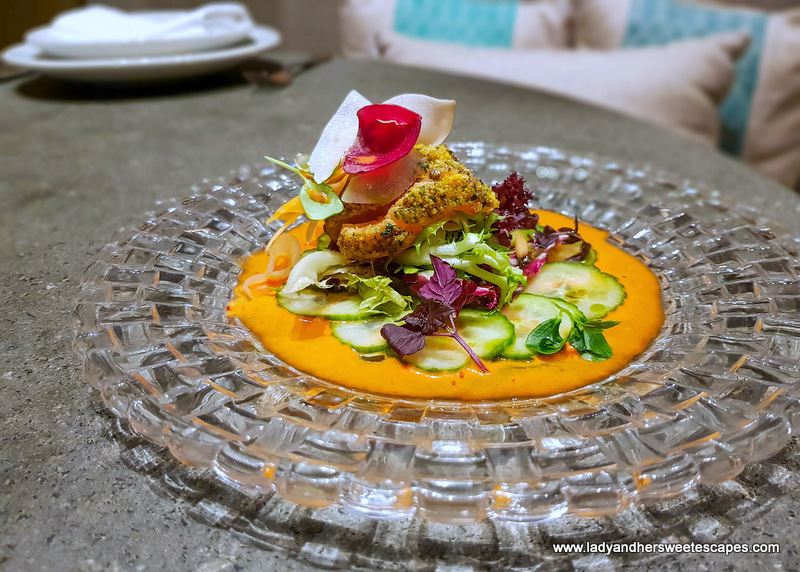 Along with some of the Dubai-based food bloggers, we had a sneak peek at the newly revamped menu which splendidly jibed with the good old SnB concept! 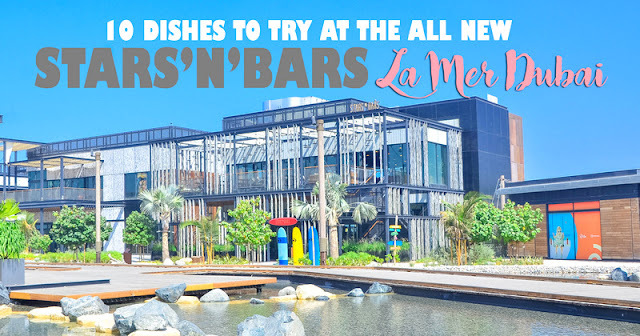 We have been to Stars'N'Bars Yas Island a couple of years ago; hence, we were excited to see the improvements. Most especially when we knew that the brilliant yet humble Filipino Chef Andrew Paderes developed the new food offerings! 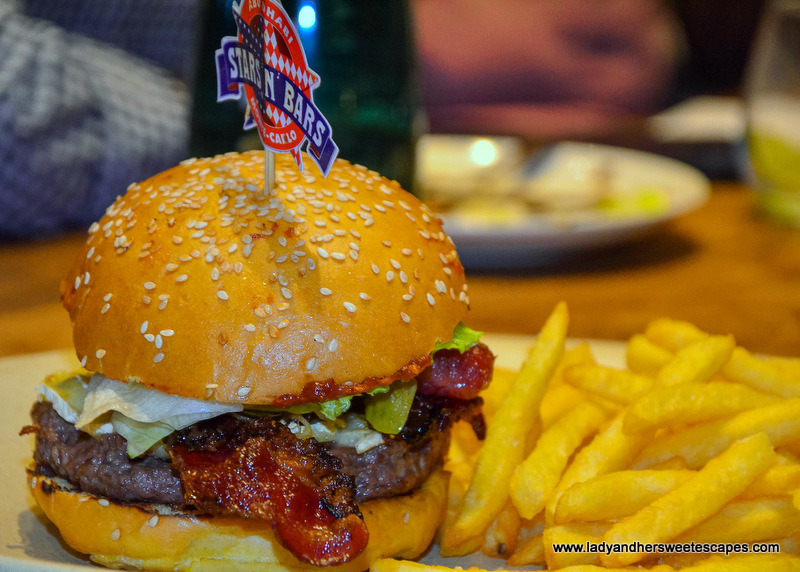 Stars'N'Bars is an American Sports Bar established in Monte Carlo where it is known to be a celebrity hang out spot! 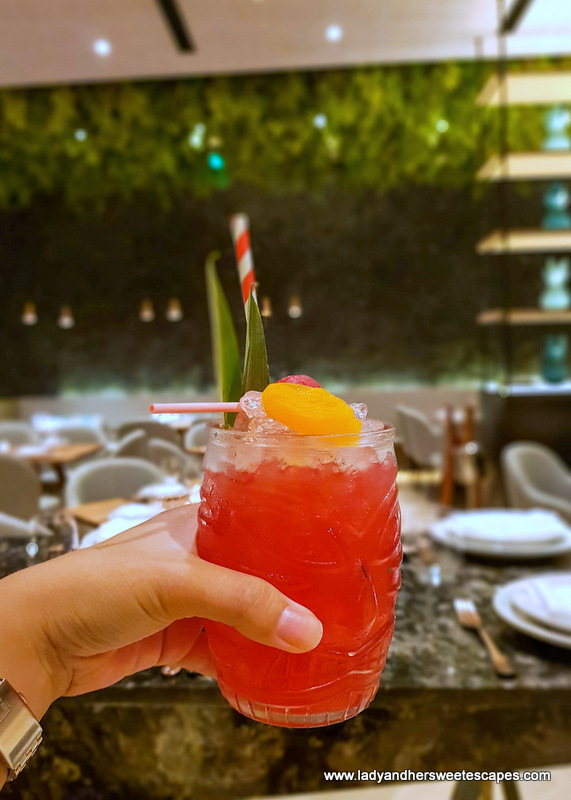 The branch in Abu Dhabi is already a popular nightlife venue, and their newest addition in La Mer Dubai is set to be one of the hippest bar/restaurants in the city! Now that the much-awaited Stars'N'Bars La Mer has finally opened its doors, I am thrilled to share my favorites during the pre-opening tasting... dishes that you should definitely give a try when you're out there chilling or partying by the beach! 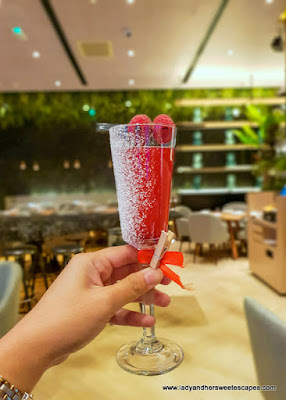 Delicate and delicious, this seared sashimi-style salmon almost melted in my mouth! It is crusted with gremolata, garnished with cucumber, salad leaves, and smothered with red jalapeno sauce. 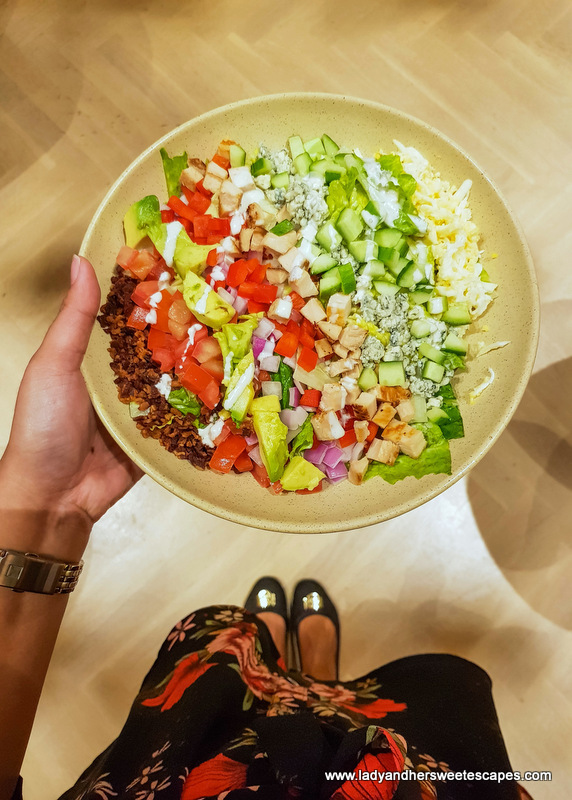 This hearty salad is served family-style! It is brimming with romaine lettuce, tomato, avocado, cucumbers, onions, crumbled blue cheese, diced chicken bacon bits, boiled egg, and drizzled with blue cheese dressing. Stars'N'Bars healthy options definitely came as a surprise because we were expecting the usual pub grub that we had in SnB Yas Island before. So, here's another impressive salad on the new menu. 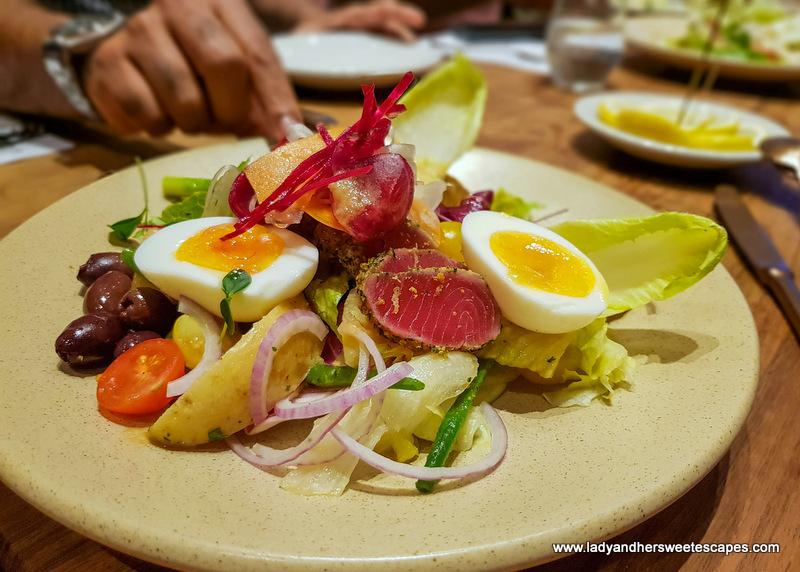 The Nicoise has crusted tuna loin sitting on top of crispy romaine lettuce, new potatoes, french beans, cherry tomato, Kalamata olives, soft egg, shaved root vegetables and onion dressing. 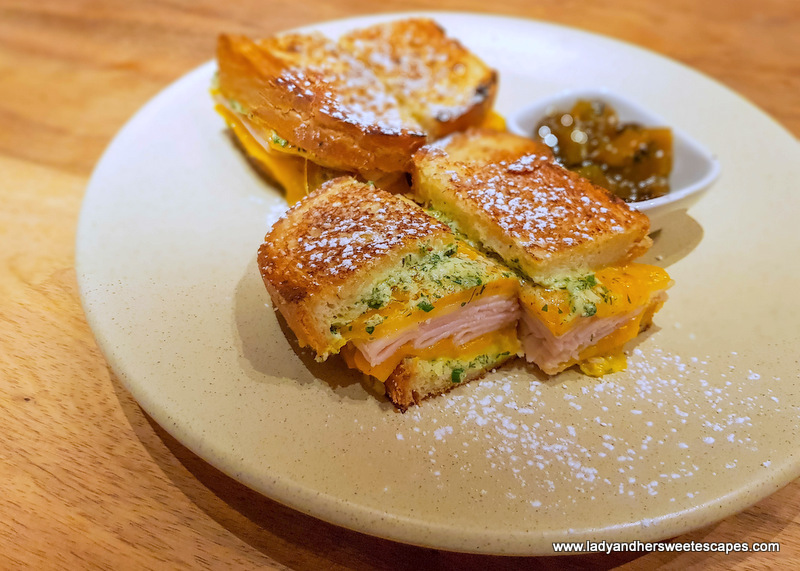 SnB has retained comfort food appetizers on their menu but these have also been leveled up! 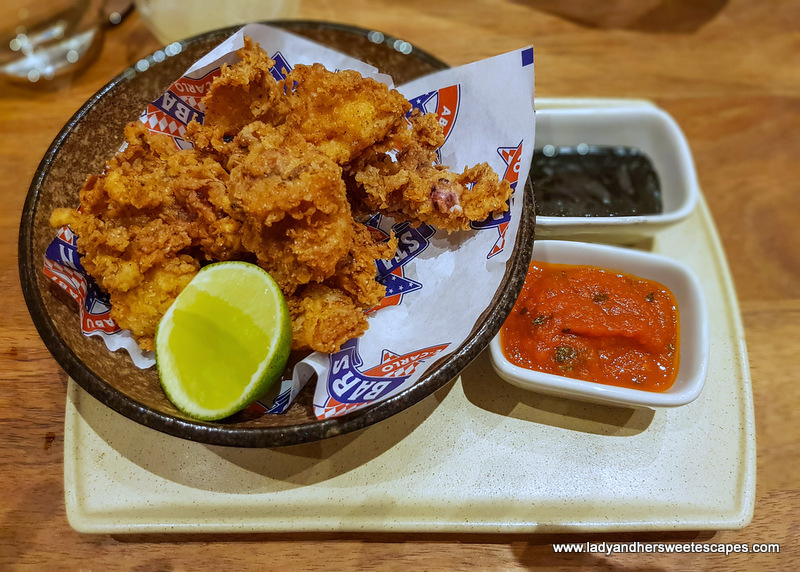 Take the fried calamari for example! The crispy fried baby squid is served with warm marinara sauce and creamy ink aioli! This simple-looking corn on a cob earned a lot of wows during the pre-opening tasting! It is perfectly chargrilled. 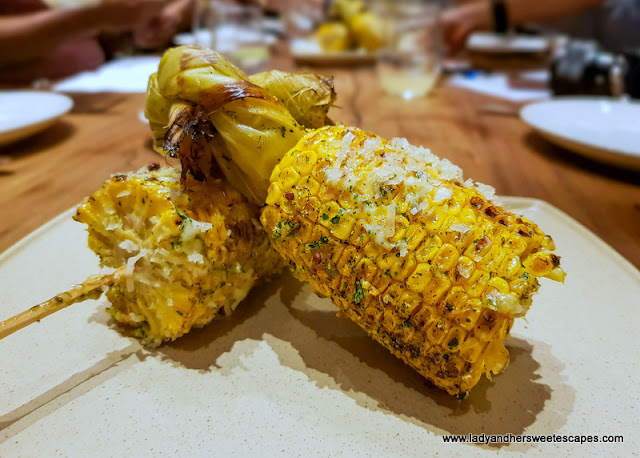 The corn is brushed with Cajun butter, lime mayonnaise, and dusted with cheese, giving every bite a smokey savory flavor!. Seafood lovers, like me, will surely be impressed with Stars'N'Bars fancy take on garlic prawns. 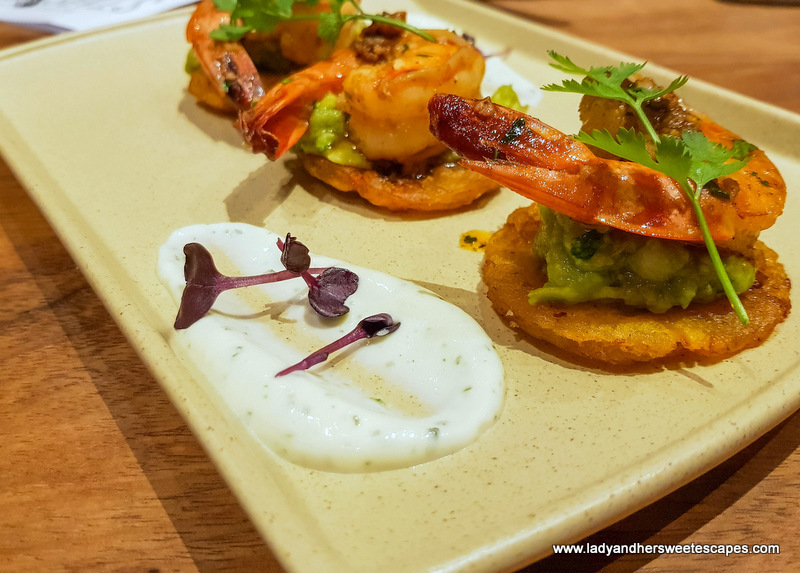 According to Chef Andrew, the sweet prawns were sauteed in garlic, olive oil, and paprika, and then served with layers of guacamole, aioli, and twice-fried plantain. Now let's move on to SnB's signature burgers! There are different varieties on the menu, but the Katz Deli is our fave! It has pastrami, grilled bacon, special sauce, fried pickles, provolone cheese, smacked in between a brioche bun. For somebody who likes a crazy-yet-good combo of flavors, Monte Cristo is something to try! Each bite starts off sweet because of the sugar snow and kiwi jam. Then, as you chew, it turns to be creamy and savory because of the turkey ham, boursin, pepper jack, and cheddar cheese! Stars'N'Bars grilled items are cooked in a charcoal oven! Ed and I both love the Flamed Grilled Baby Chicken! 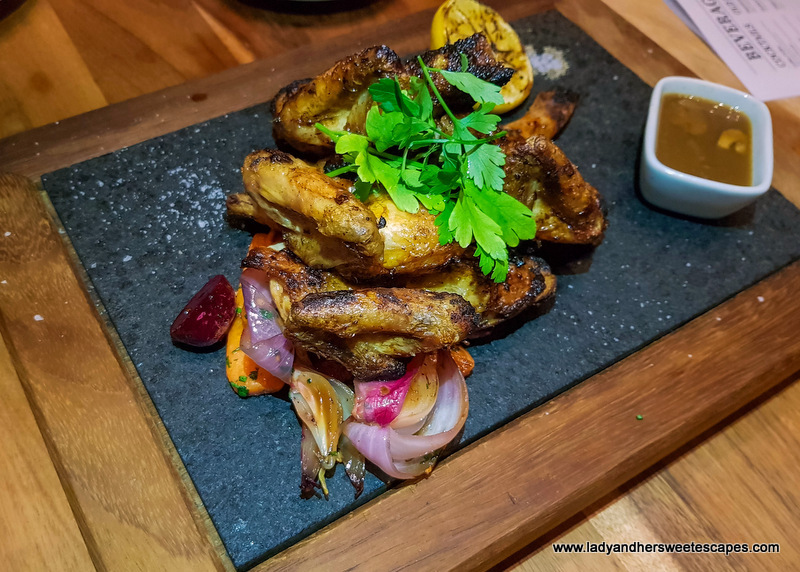 It is a juicy spatchcock-style chargrilled chicken served with roasted root vegetable and pan jus! For a sweet ending, we dug into a bowl of milk cake! Milk cake is a thing these days, I noticed! And SnB's version is packed with yummy goodness! 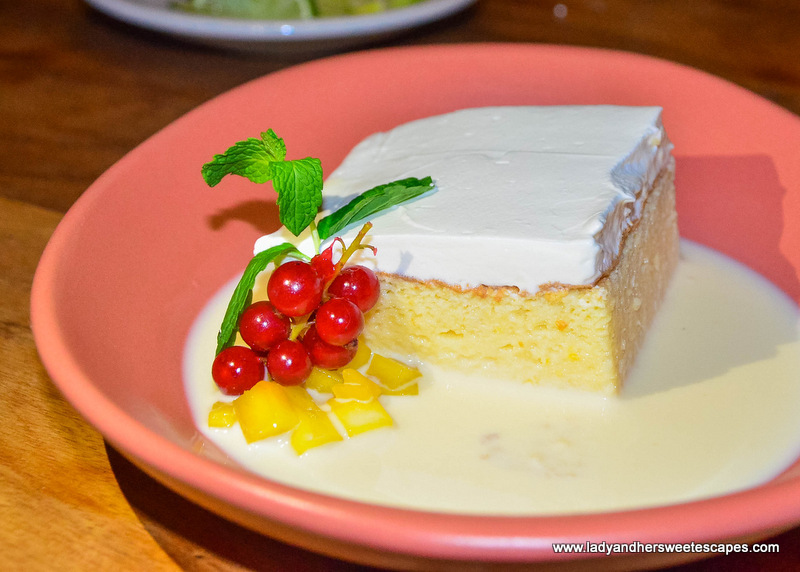 It is a vanilla sponge cake soaked in trio milk mix, laced with whipped cream, and served with fruit brunoise. Stars'N'Bars in La Mer is a licensed restaurant. Thus, along with the excellent food line up comes an equally superb Drinks menu! Ed and I were able to try a few of Michael Angelo's unique concoctions during the tasting. 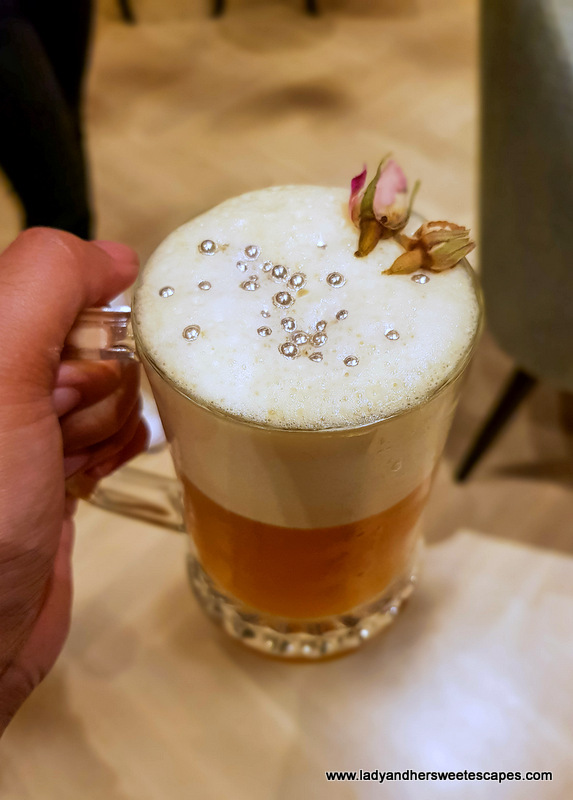 He's an Italian bartender and his creations are amazing! 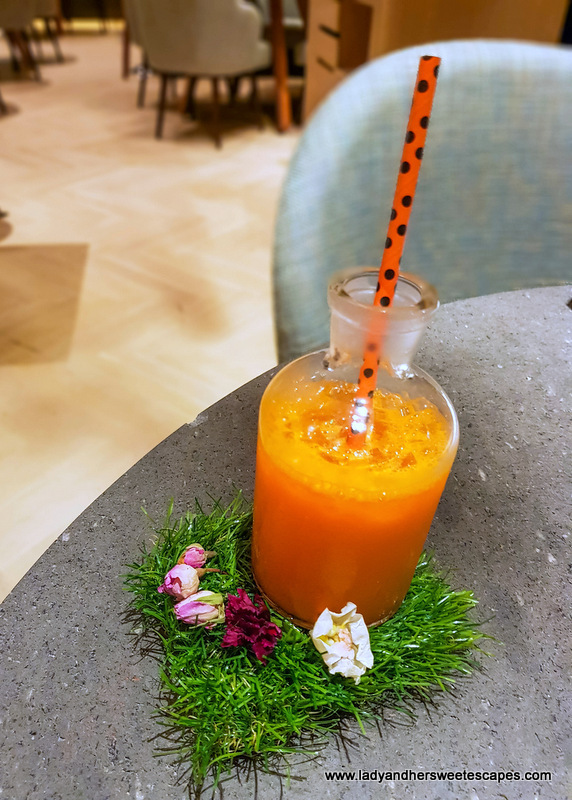 The photos of food and drinks in this blog post were taken during the pre-opening tasting. They already look appetizing, but I heard the presentation has been further improved! And I also bet they would be more perfect under Stars N Bars' chill atmosphere. We were invited to Stars'N'Bars pre-opening tasting.